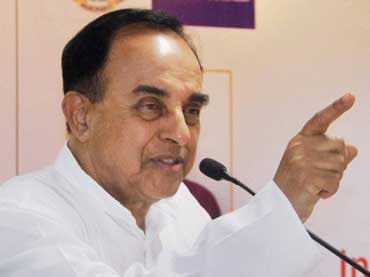 BJP MP Subramanian Swamy, whose tweets have not gone down well with the party leadership, today indicated that he will be less active on his favourite media platform for a week to "concentrate" on cases involving Ram Temple, National Herald and Aircel Maxis. He, however, also made a tweet over India's GDP calculation that raised a few eyebrows. "If I apply Samuelson-Swamy Theory of Index Numbers to India's GDP calculation or RBI interests rates, media will scream anti party activity!" he said. A few hours later, he tweeted, "Now Ram Temple, NH, impleading in Swami Dayananda's WP in SC, Aircel Maxis, CSK ban etc requires me to concentrate. So few tweets for 1 week." He also took a dig at journalists. "I filed 2G Scam case, lawyers made a lot of money defending the crooks. Now because of my tweets, presstitutes raking in cash in trucks!!" One of his tweets was over the killing of a Hindu priest in Bangladesh. "It is painful to see daily murder of Hindu priests and activists in B'Desh. Hindu blood was shed to liberate these barbarians to create B'Desh," he said.